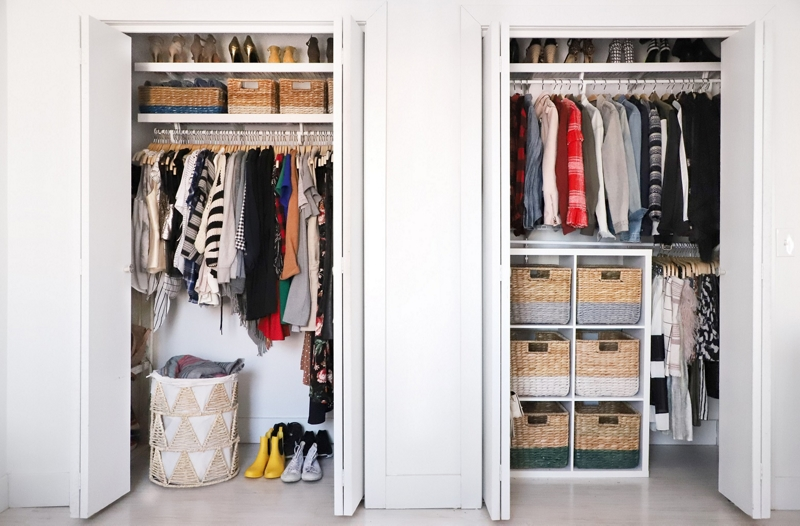 Make getting ready easier with a Krylon color-coded closet organization system! In a well-ventilated space, cover a flat surface with a drop cloth or tarp. Before starting, read the Krylon labels for safety and application instructions. Use painter’s tape to tape off the bottom section of the baskets, leaving only bottom third of the basket exposed. Use two coats to achieve the pictured finish. Remove tape when paint is dry to touch. Allow paint to fully dry before using.